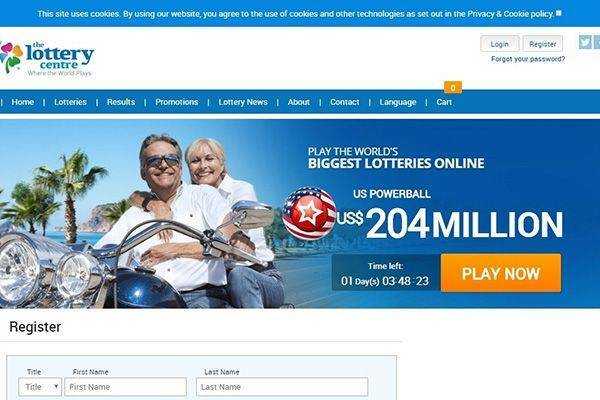 The Lottery Center is an online lottery company that offers players with a one-stop place that houses some of the world’s biggest lotteries game. With over 25 years of experience in the lottery business, they have been giving people all over the world the easy chance of playing online lotteries in a safe and secured platform. The lottery Center offer players 16 of the best and biggest lotteries and these lotteries include Canadian Lotto 6/49, Australian Superdraw, Australian Powerball, British Lotto, EL Gordo, El Nino, Euro Millions, French Lotto, German Lotto, Irish Lotto, Euro Jackpot, American Mega Millions, Australian OZ Lotto, Spanish Lotto, American Powerball and Summer Gordo. These lotteries featured on the site have huge jackpots that can make most people’s dream come true if they won. 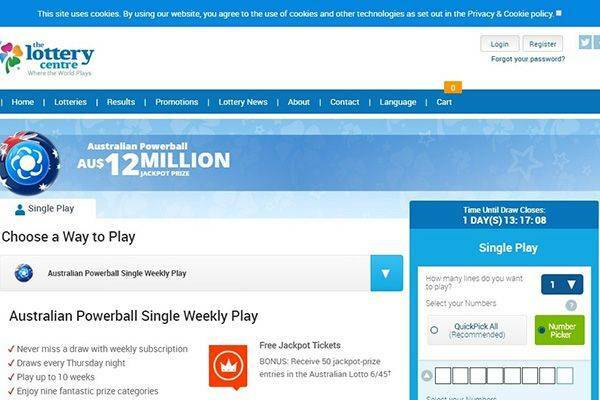 The Lottery center provides their services of helping their players get the tickets once they have selected the lottery of their interest and choose their very own number. It is not all glory as they have been accused of withholding players winnings for more than the appropriate time and some of their players have complained of being duped by The Lottery center. The Lottery center offers their players 16 different types of lotteries which they can choose and play from. 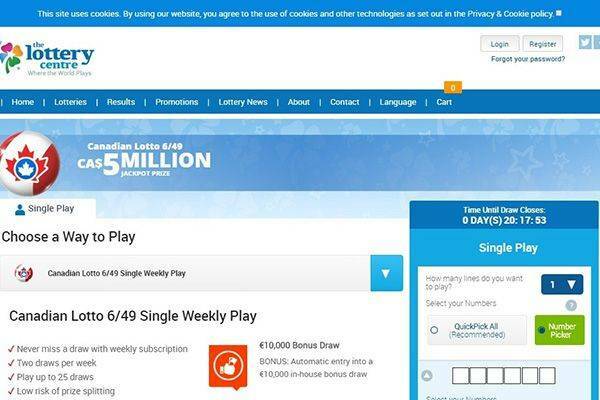 The 16 lotteries include the Canadian Lotto 6/49, Australian Superdraw, Australian Powerball, British Lotto, EL Gordo, El Nino, Euro Millions, French Lotto, German Lotto, Irish Lotto, Euro Jackpot, American Mega Millions, Australian OZ Lotto, Spanish Lotto, American Powerball and Summer Gordo. The Lottery Center has products such as syndicate, single line and jackpot hunter and features such as the quick pick and subscription. The site is owned and operated by International Multi-Media Entertainments Limited and regulated by the Isle of Man Gambling Supervision Commission. The website can be accessed from any electronic device making it a convenient and comfortable way for a player to transact with them. The Lottery Center offers some promotions to their customers. They offer their players bonuses through the playing of some selected syndicate such as the British Lotto Classic syndicate, British Lotto Value syndicate, Irish Lotto syndicate, Euro Jackpot syndicate, Irish Lotto Single Weekly and the La Primitiva Classic syndicate. Players stand a chance to get a share of the 100 free entries for the particular lottery’s jackpot. The customer deposit funds into the account after they have registered with the site, it is with this deposit they use to participate in any lotteries of their choice. Although, the customer is responsible for all charges incurred by the company while processing the deposit of funds into the customer’s account. They accept MasterCard Maestro, Visa, and Visa Electron. Payments of players’ winnings are usually sent in several forms by cheque, bank draft, money order or any other acceptable mode of payment applicable to the players’ country. Any winnings totaling 250 pounds or dollars or euro will be deposited directly into the player’s account. For withdrawals, the customer can only make a single request for withdrawal within a day and not more, and the customer is responsible for any extra charges processing the withdrawal might attract. 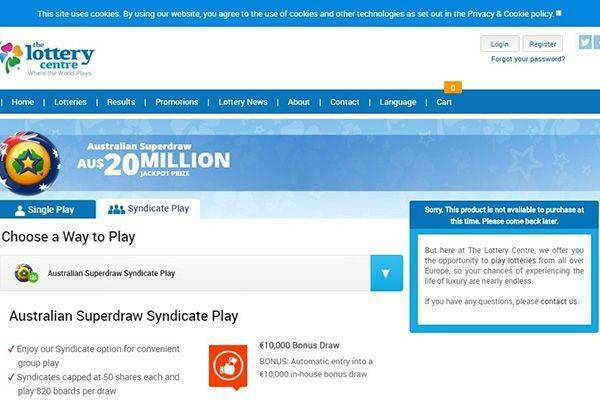 Effort was made to make valuable information readily available for visitors to the site, a FAQ page was composed to address some of the more urgent questions about the lottery operation and any concerns new, or potential, users might have. It is a limited page, but really does have the most frequent questions covered. Close to the right of the questions and answers section there’s a link that opens a live chat window. This shows the interest The Lottery Center has for clearing any obstetrical for lottery players. Other than the live chat option that I mentioned above, there are many other channels in which The Lottery Center’s customer support can be reached – Direct email address, mail address (?! ), contact form, multi national phone numbers (I counted 23!different nationalities supported), and another that I can’t recall seeing anywhere else… Skype. Days and hours of availability are not mentioned, but nevertheless, this is very impressive coverage of means of communication. Well done. Is The Lottery Center legitimate or fraudulent? So far so good there is no huge accusation that will warrant The Lotto Center be classified as a scam, and the claims of fraud by some people might just be a hoax. The Lotto Center is owned and operated by International Multi-Media Entertainments Limited and regulated by the Isle of Man Gambling Supervision Commission. The Lottery Centre offer about 16 international lotteries to players from all over the world to give them a chance at the biggest lotteries there is and the best part of all, players get an automatic entry into a 10,000 euro worth in-house game. 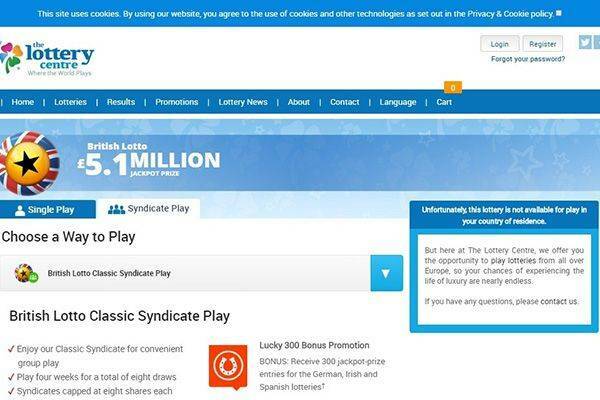 The Lotto center offers their players a platform with all of the world’s most famous and biggest lotteries all in one site where players can play in the syndicate and stand the chance of achieving their goals. With 16 big lotteries and an automatic free entry into a 10,000 euro in-house game, nothing can be better. To get all these benefits, the players just only need to register, deposit a certain amount and that’s it! The initial deposit covers all administrative fees as they do not deduct any commission from the players’ winning. You get to kill multiple birds with just one stone, that just sums it up. 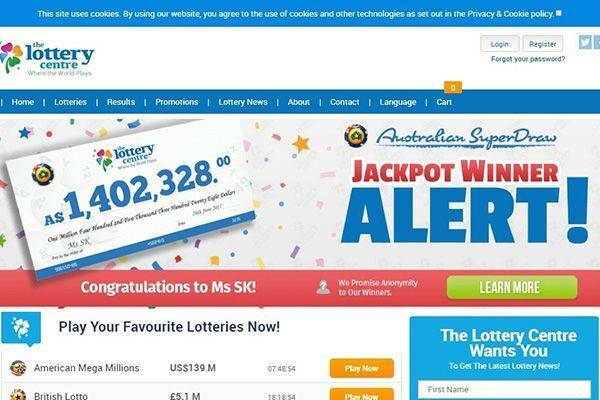 Solid selection of lotteries from around the world – USA, Europe, and Australia. Players can pick participating in these available lotteries by buying a single line or syndicate share. Most highly available customer support of most lottery websites.